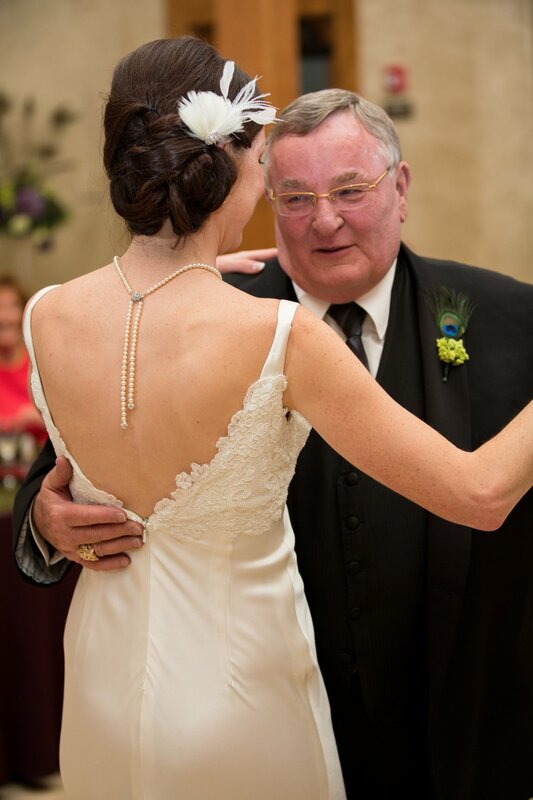 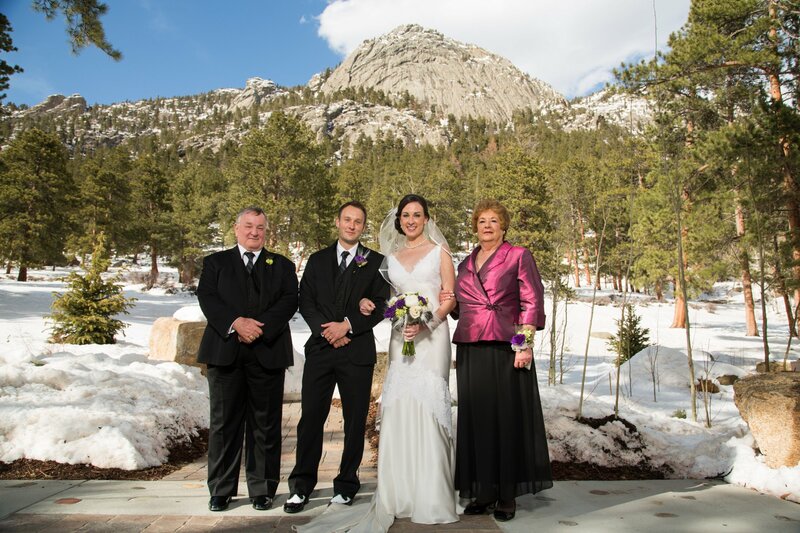 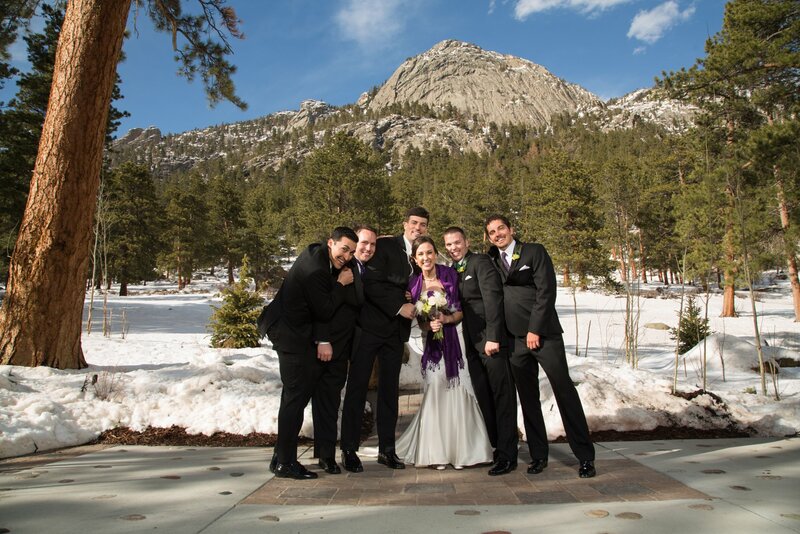 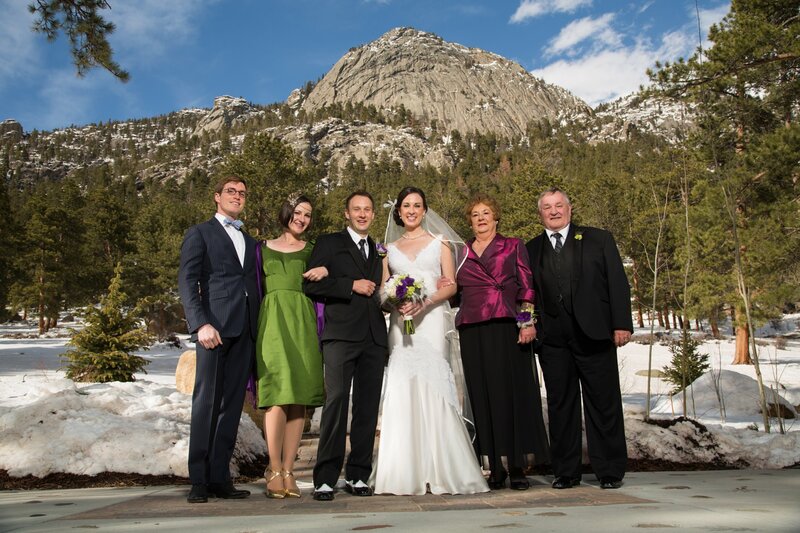 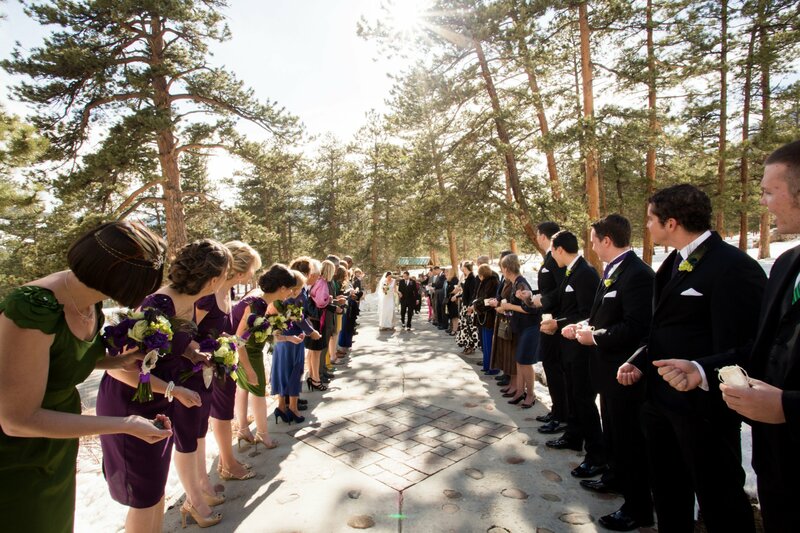 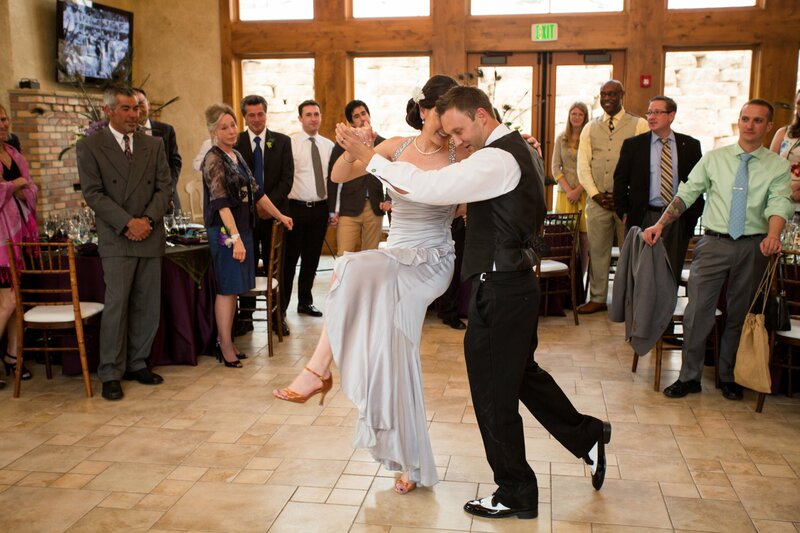 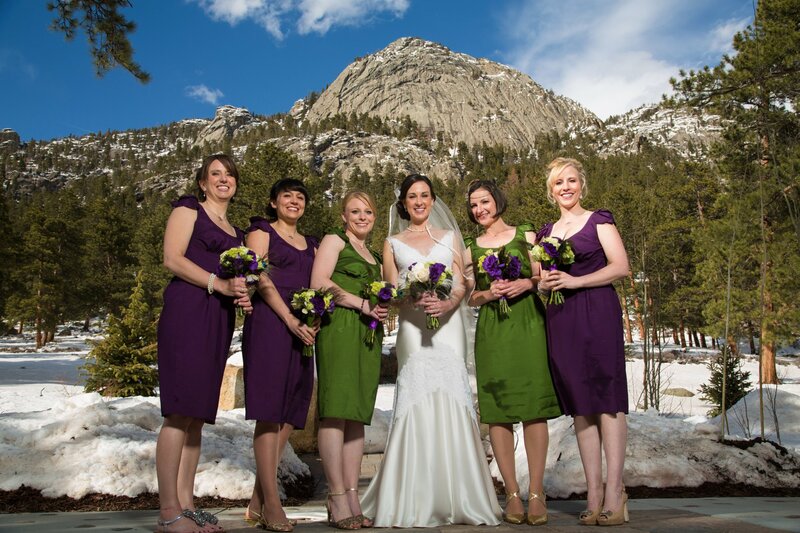 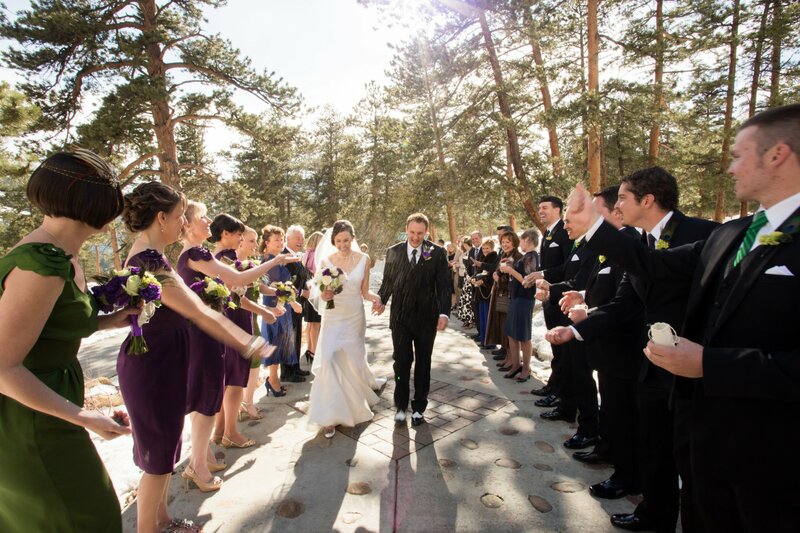 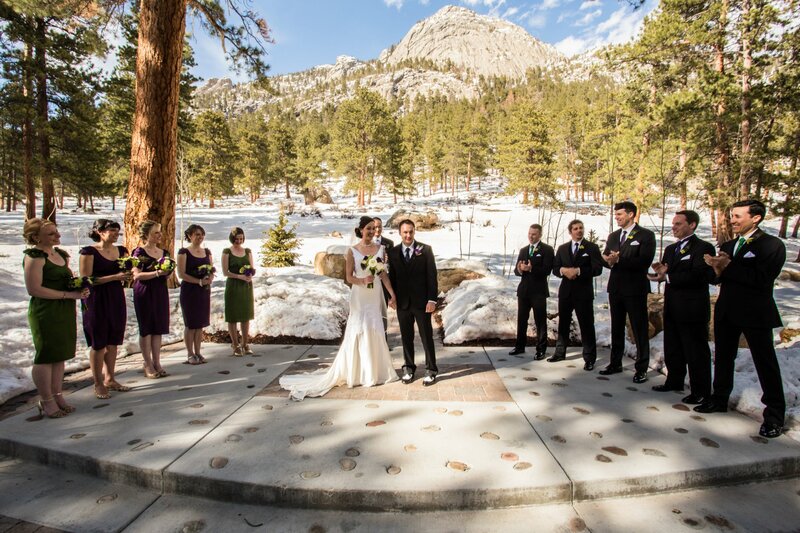 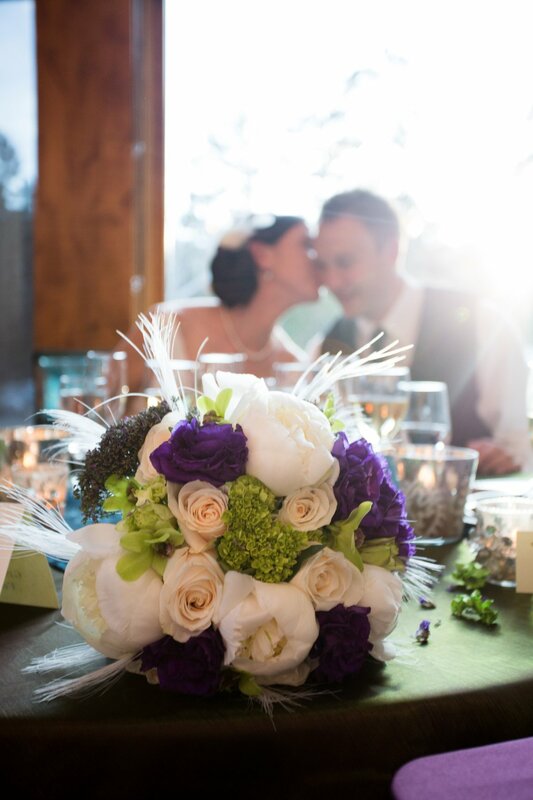 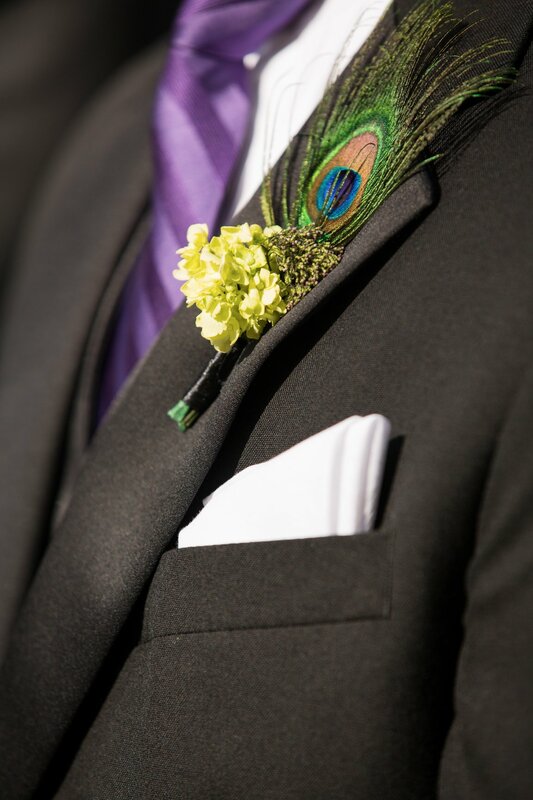 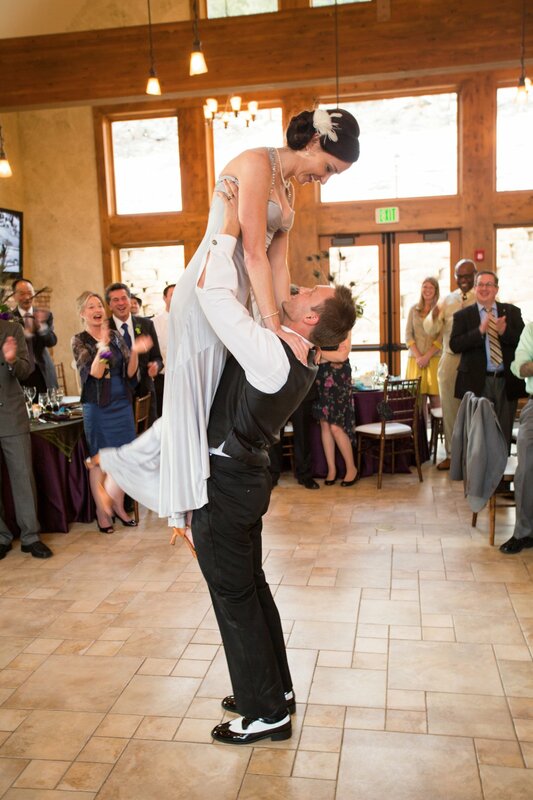 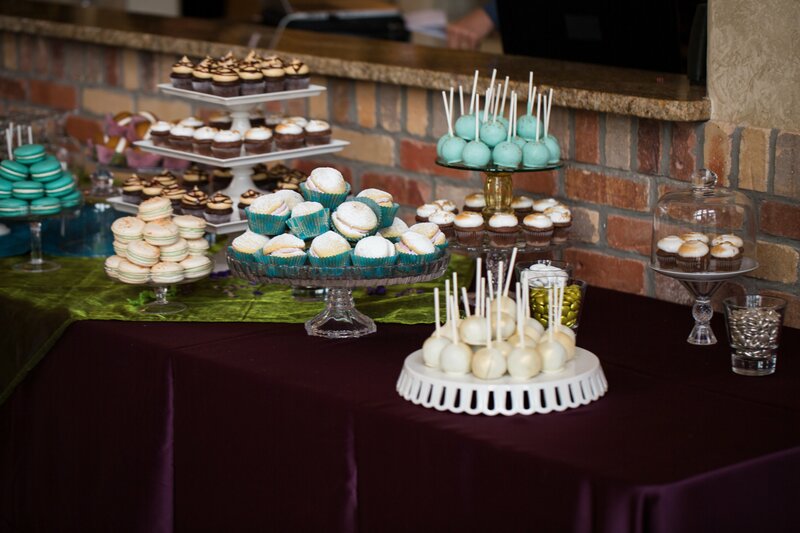 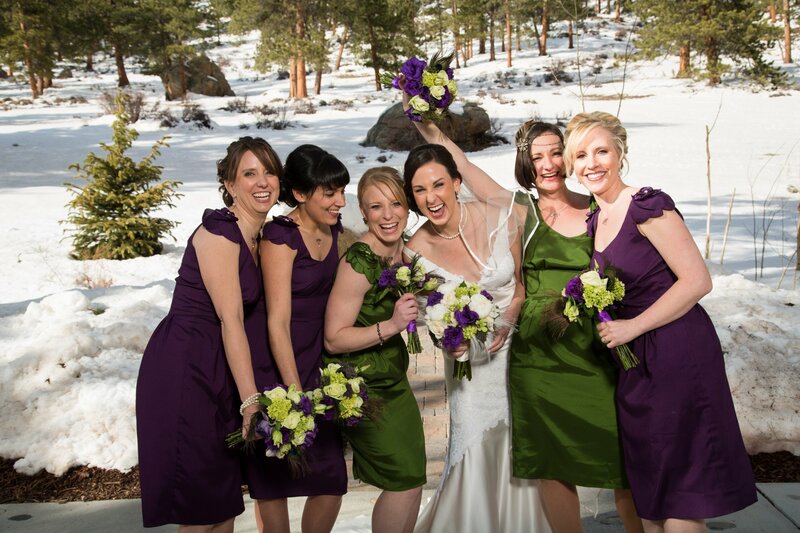 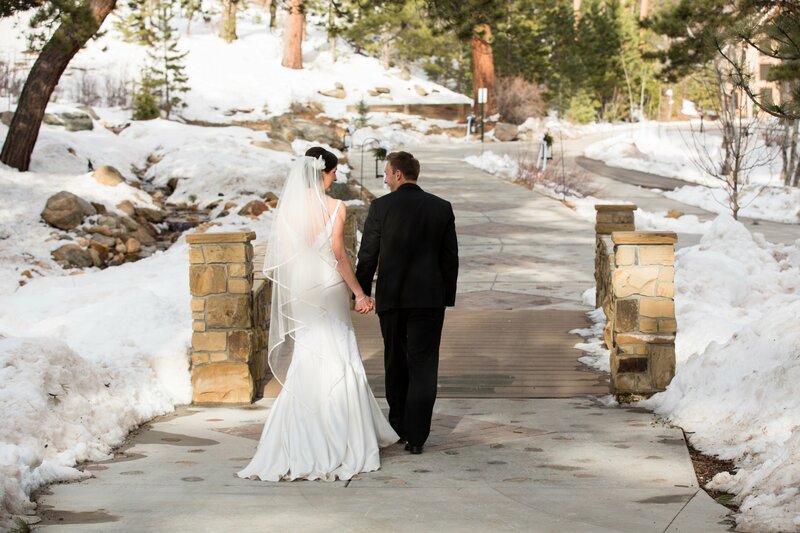 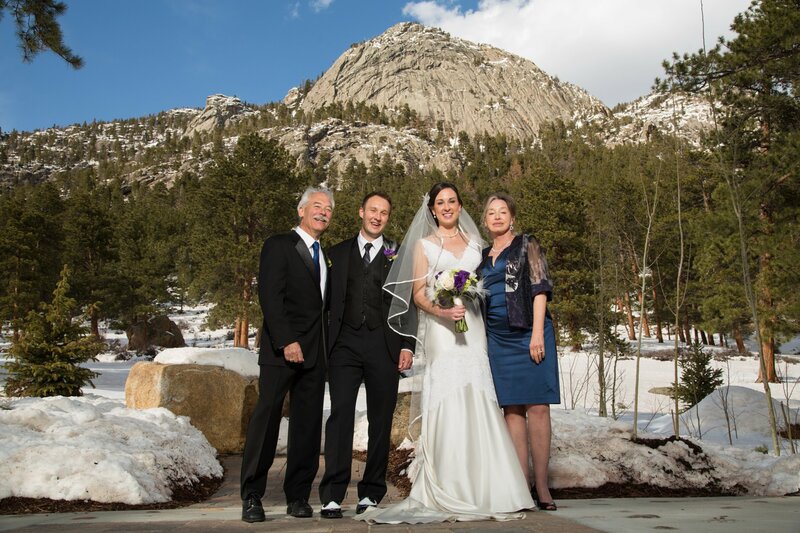 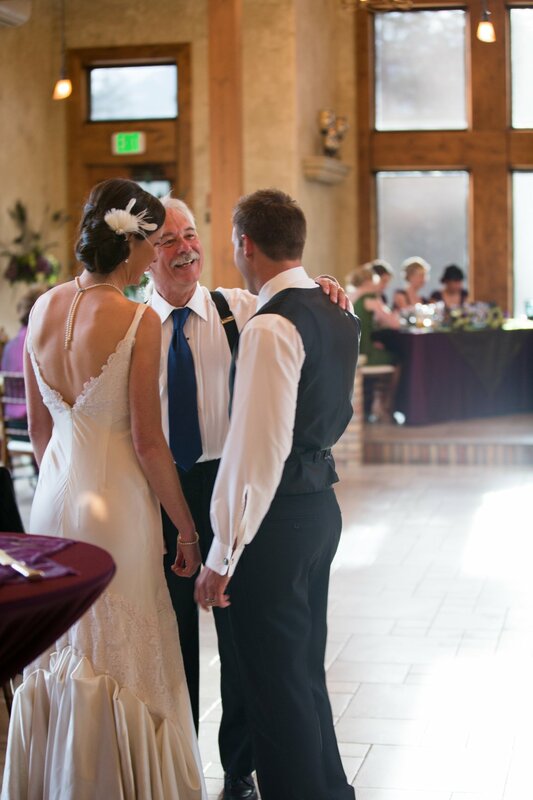 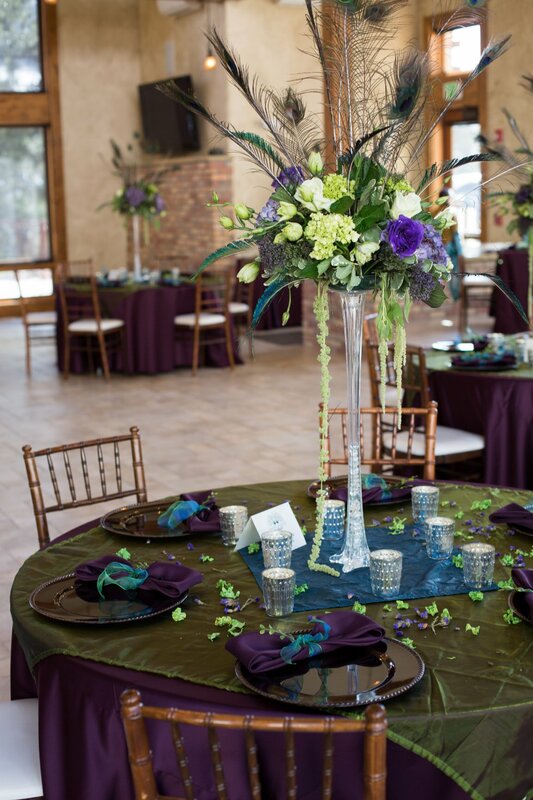 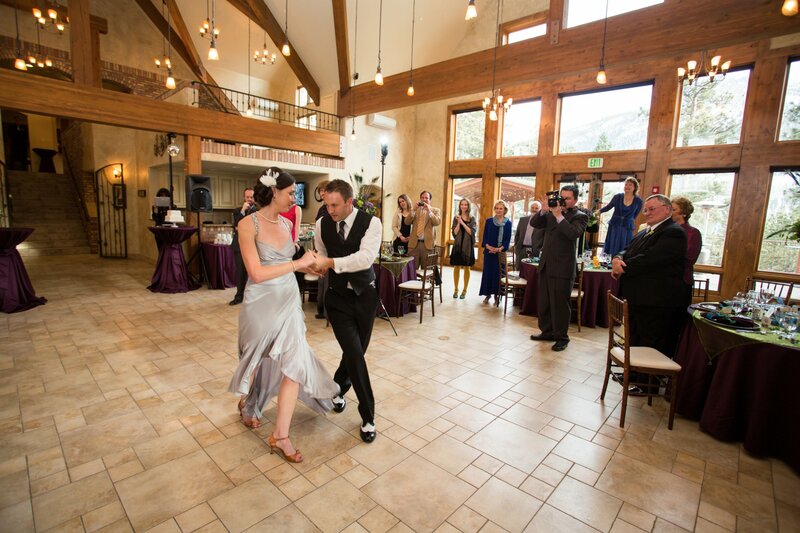 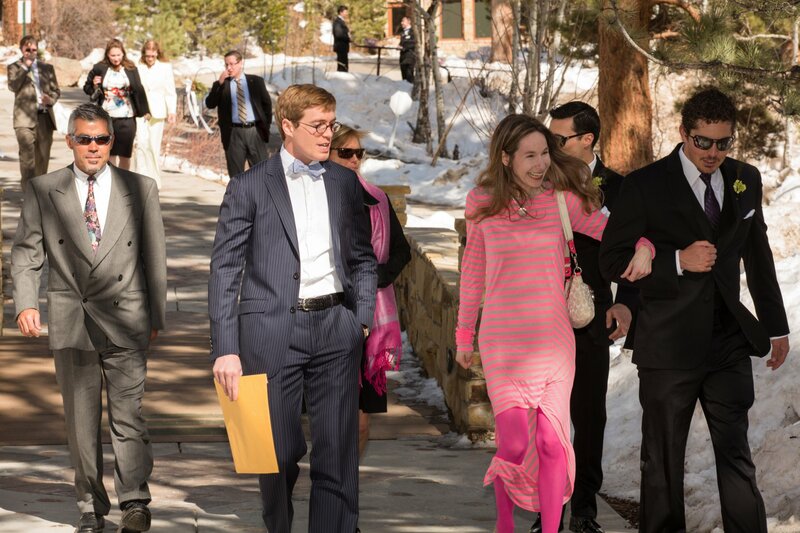 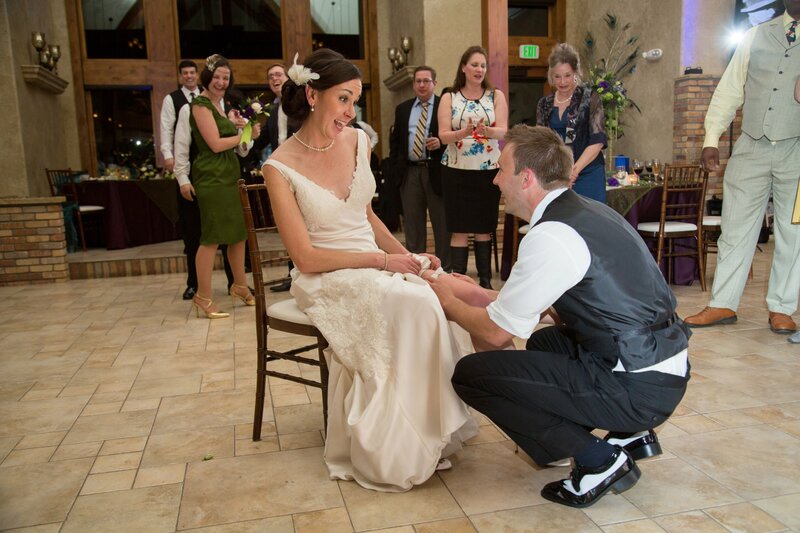 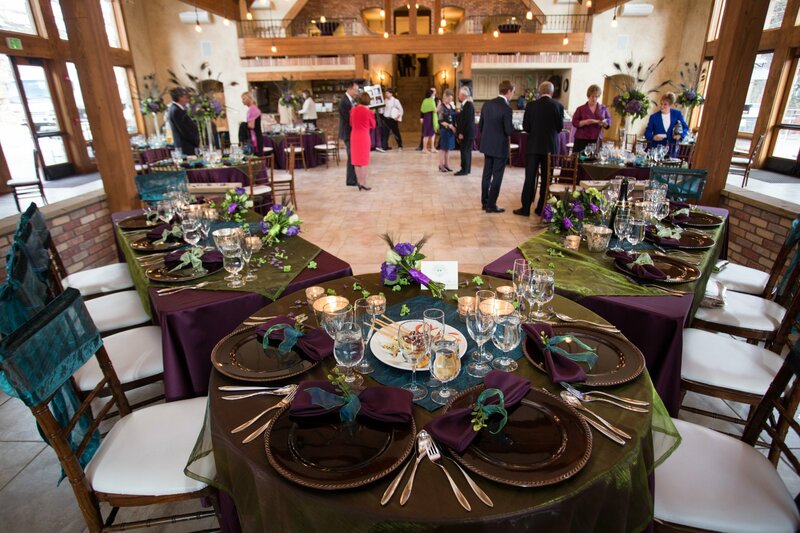 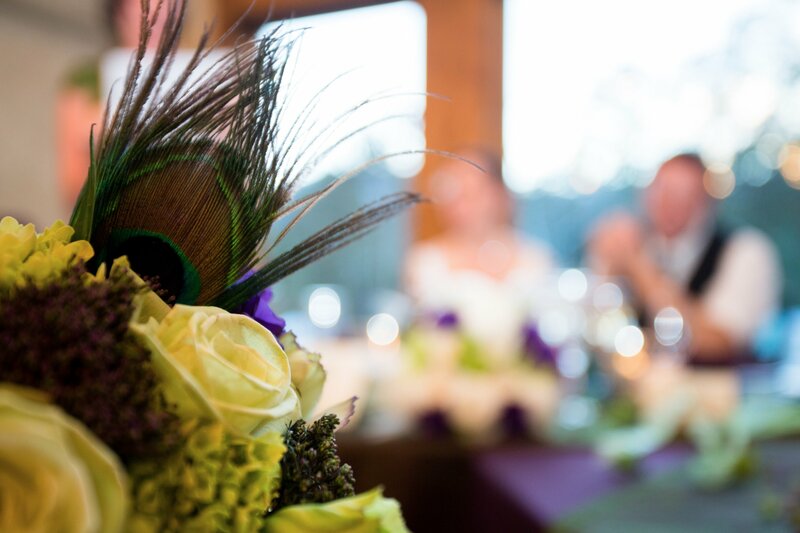 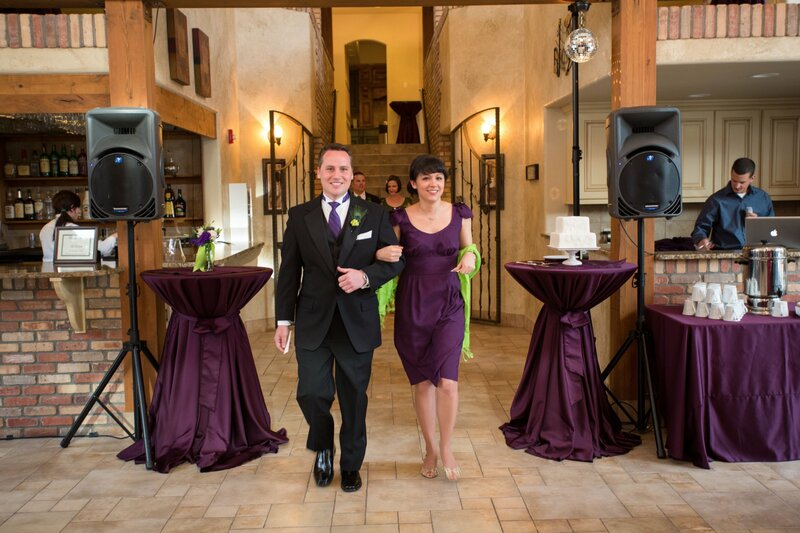 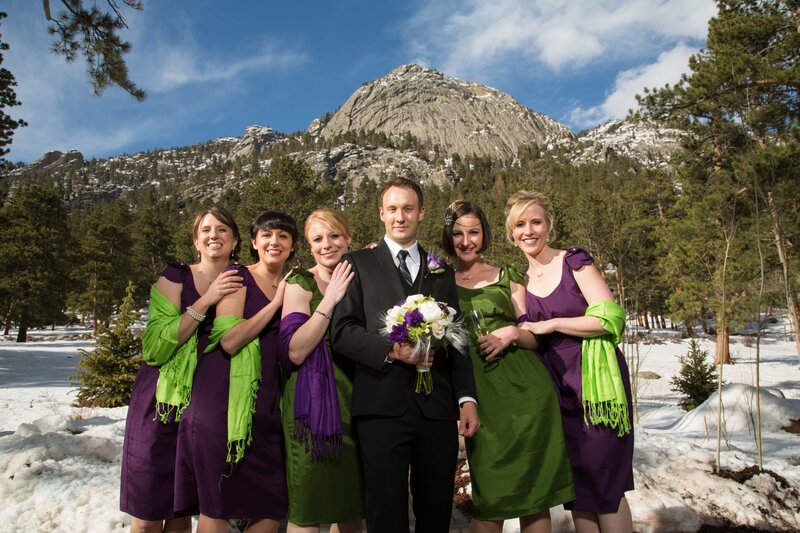 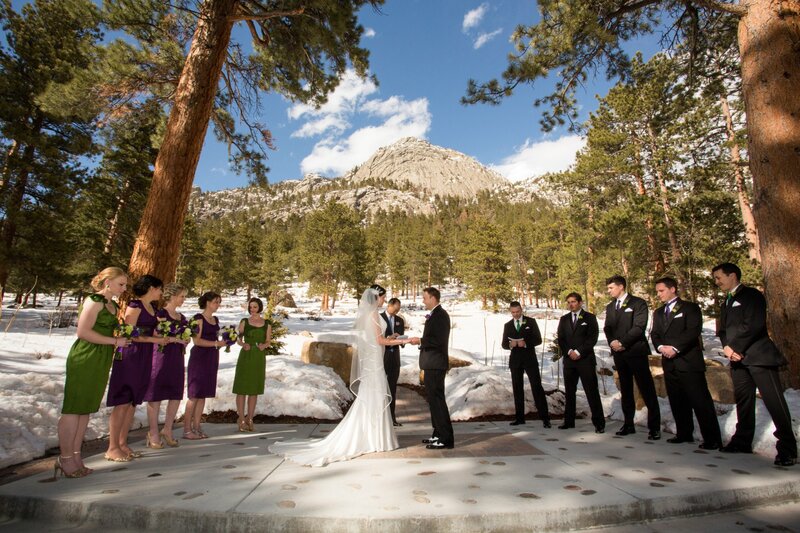 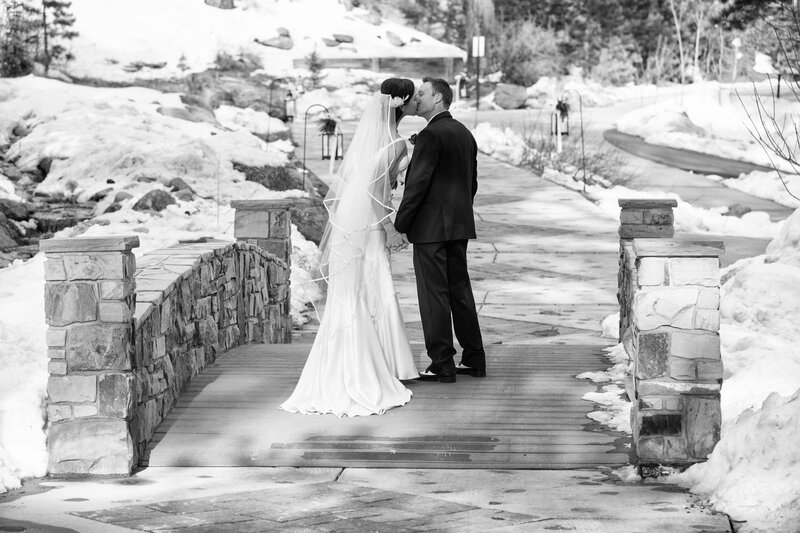 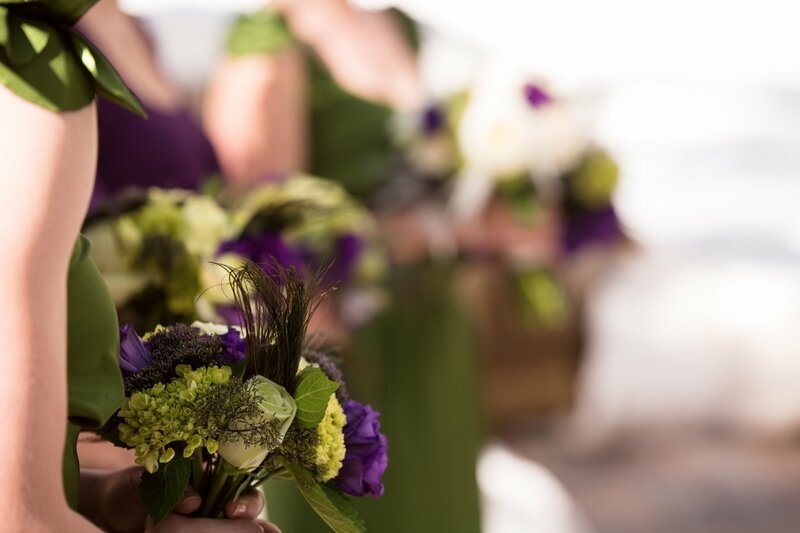 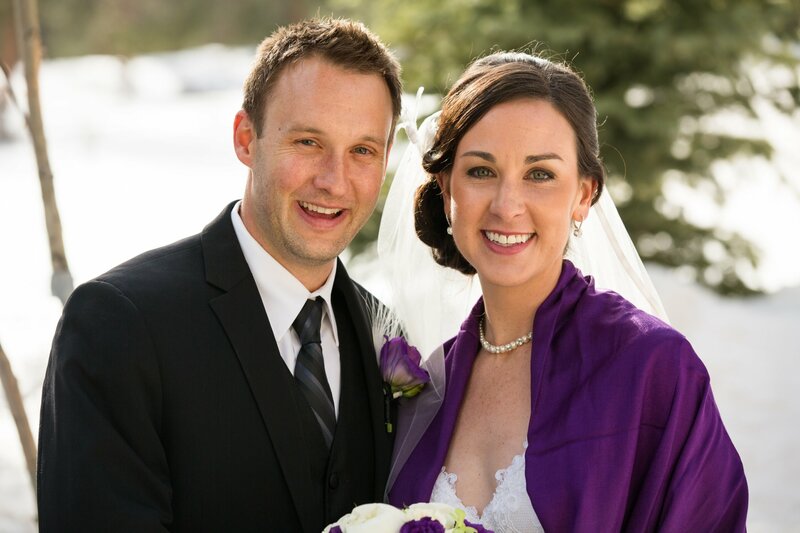 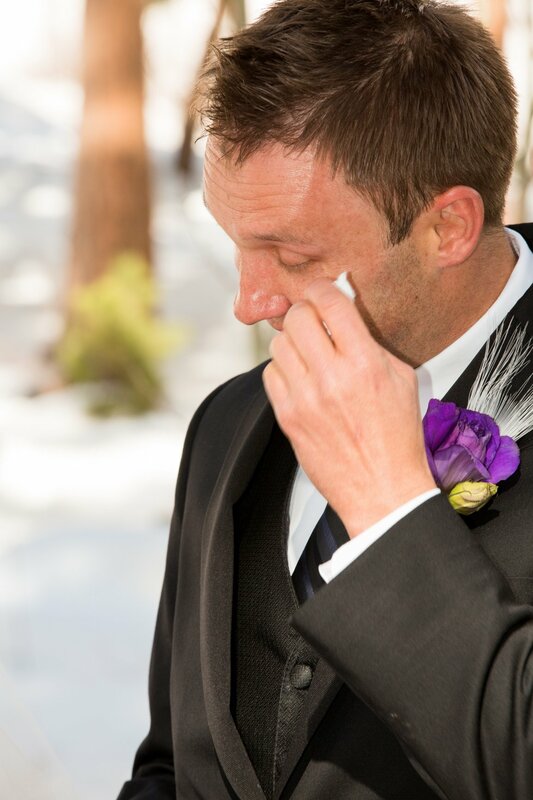 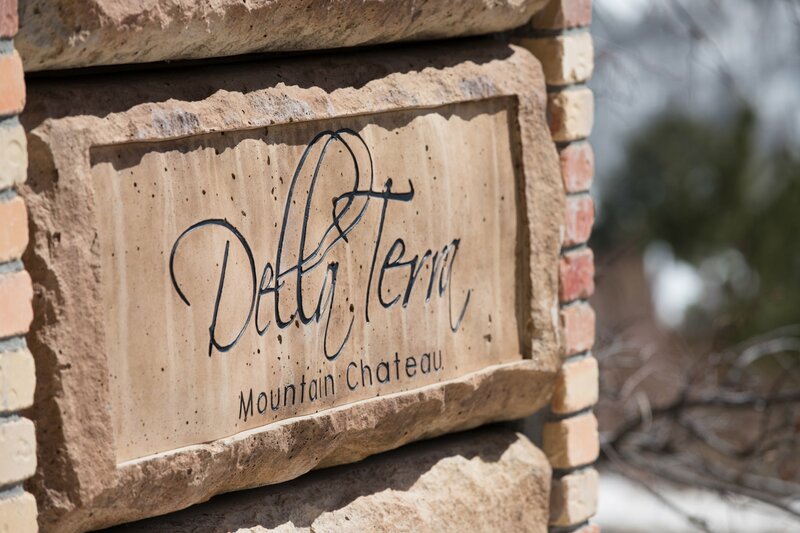 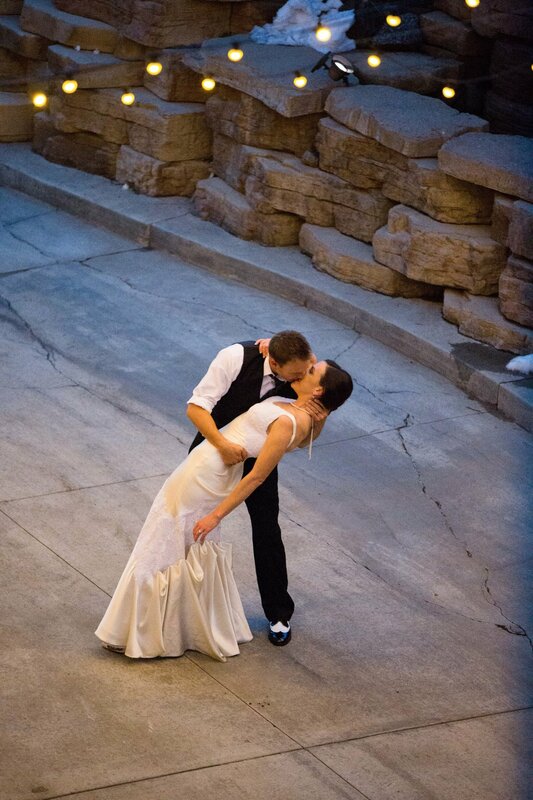 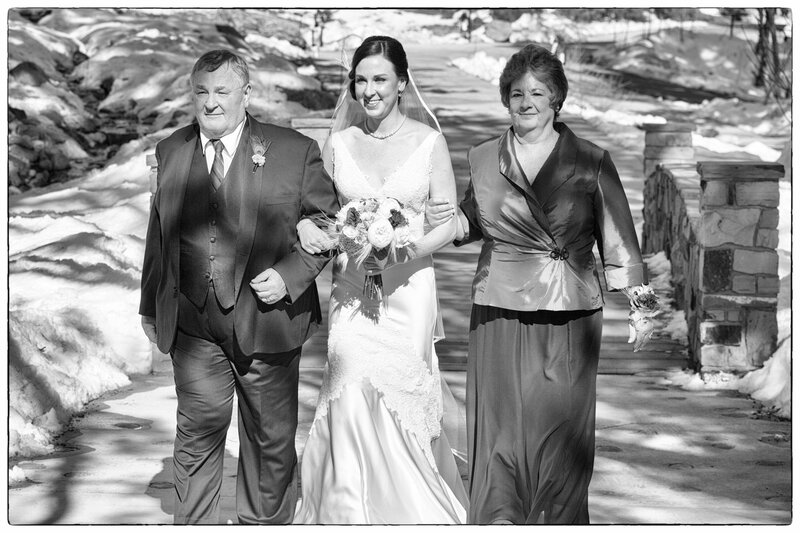 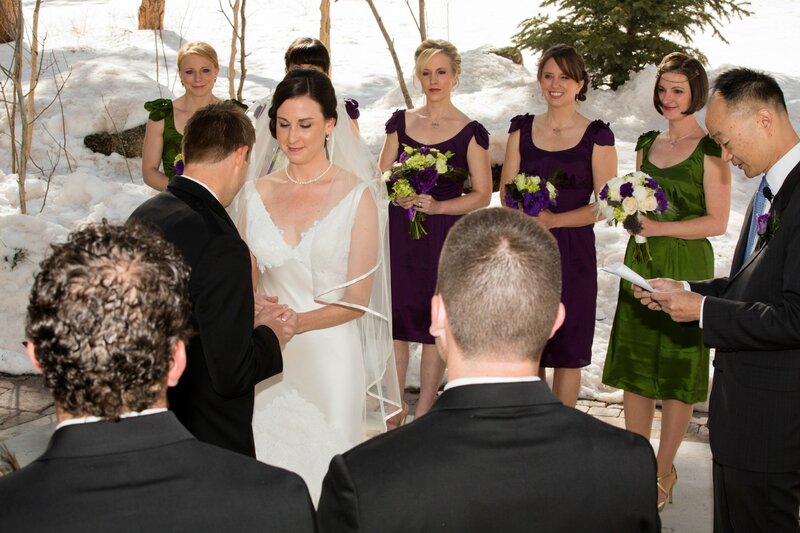 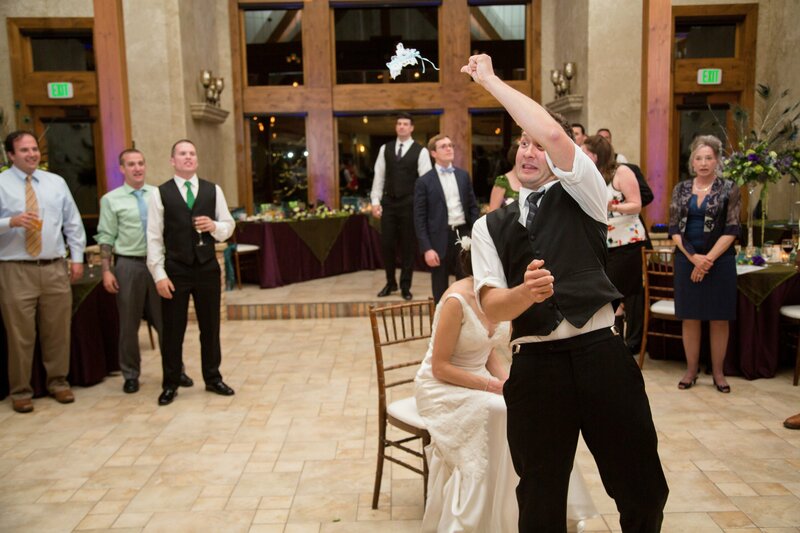 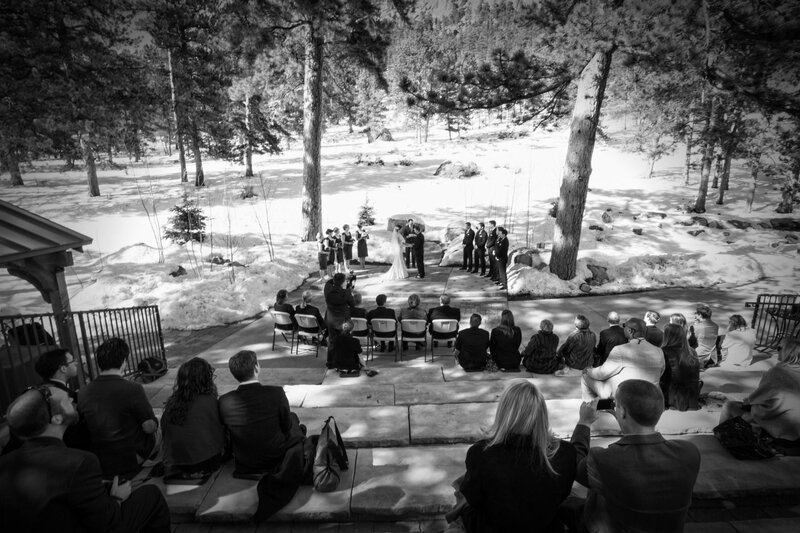 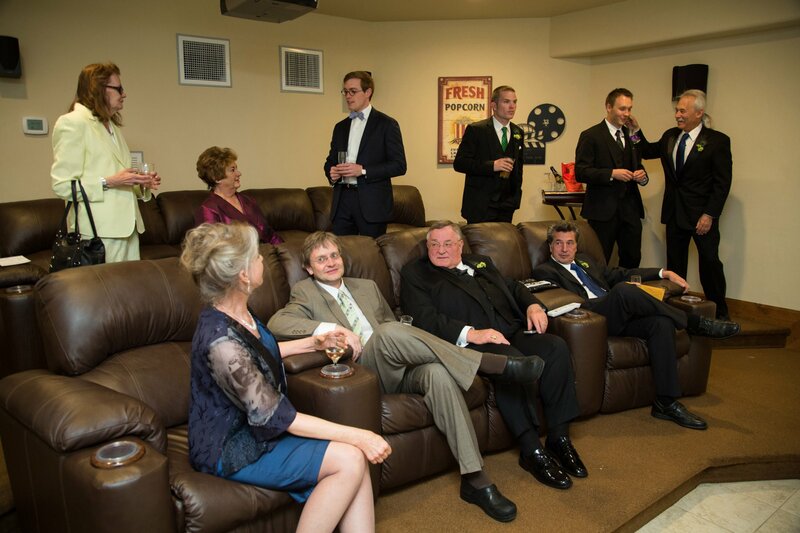 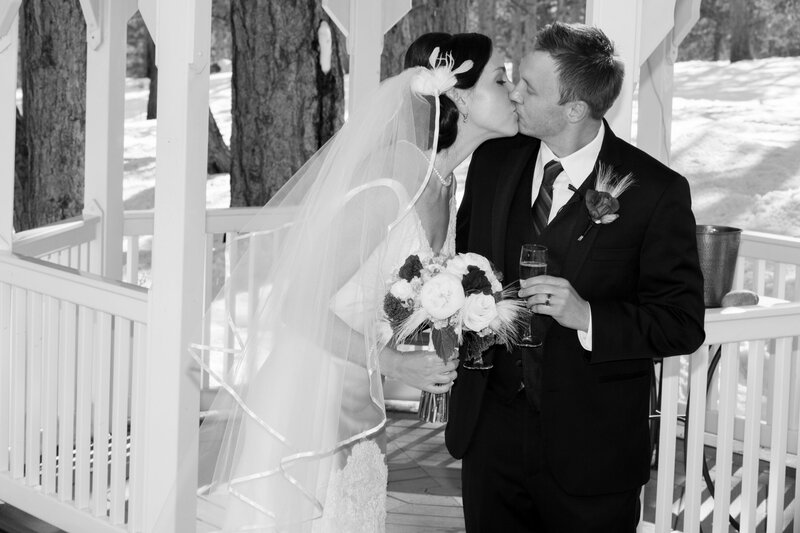 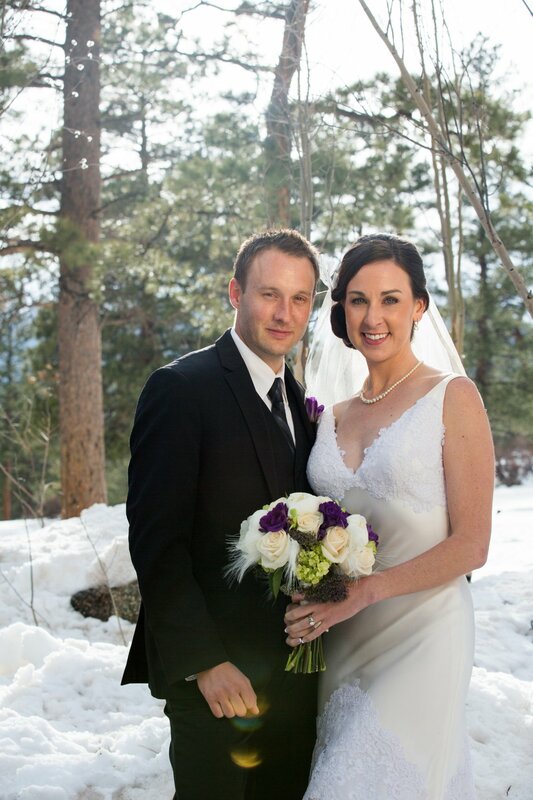 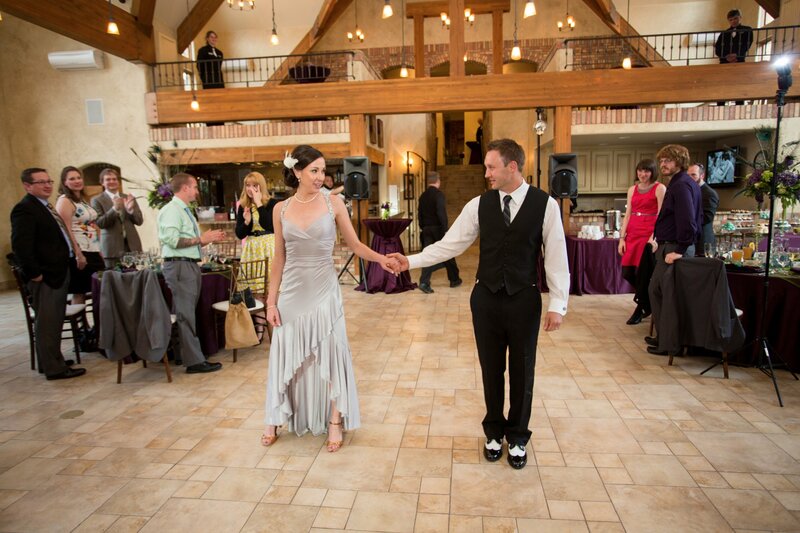 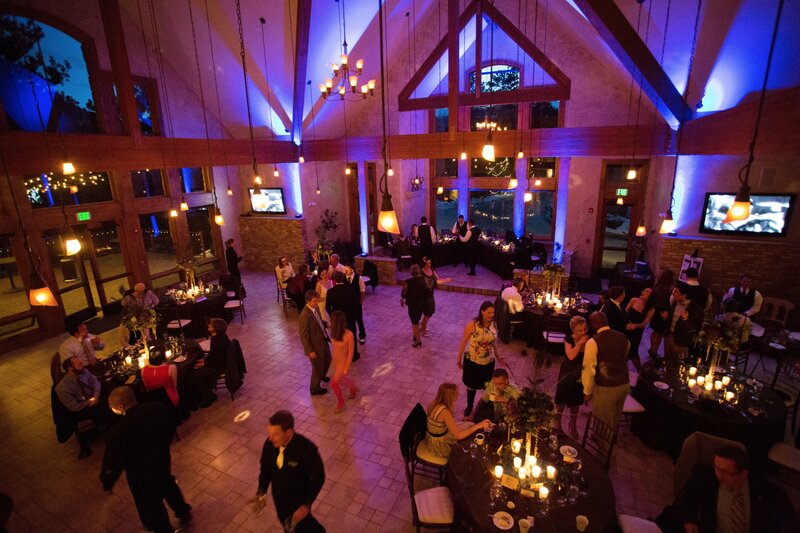 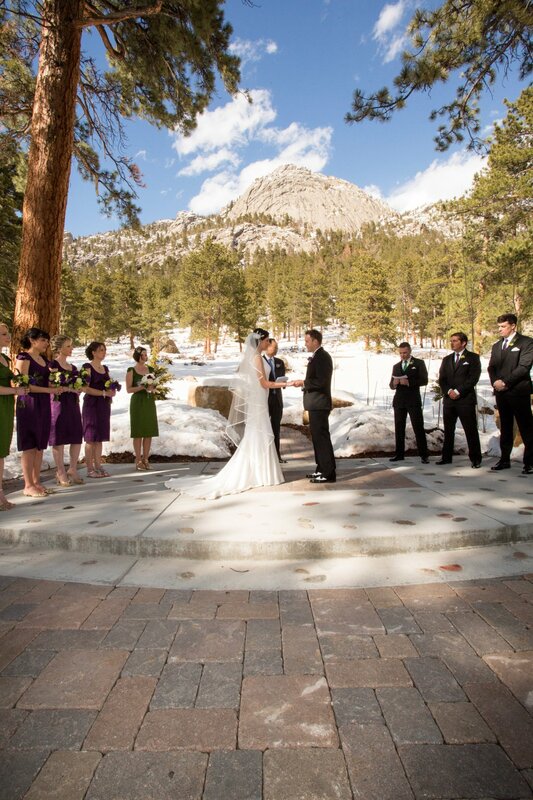 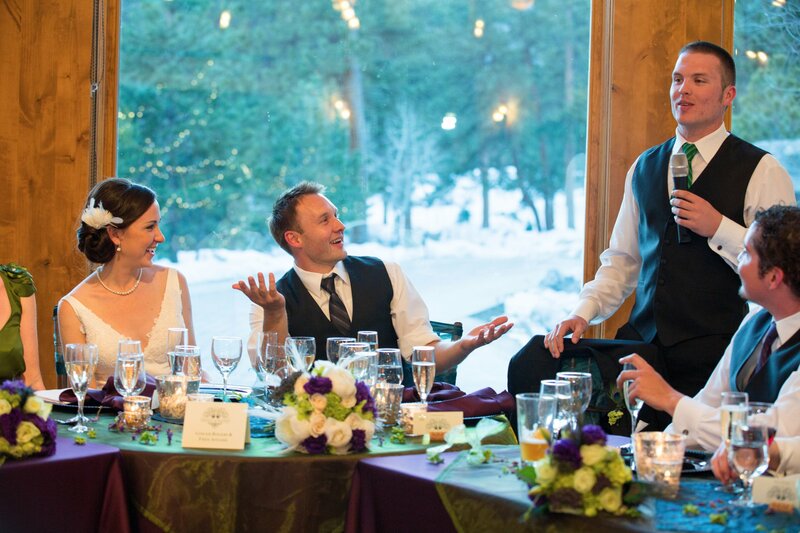 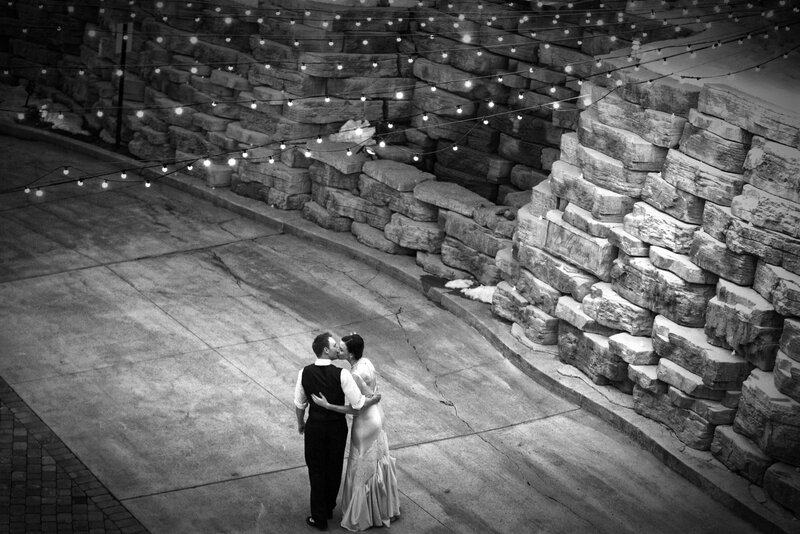 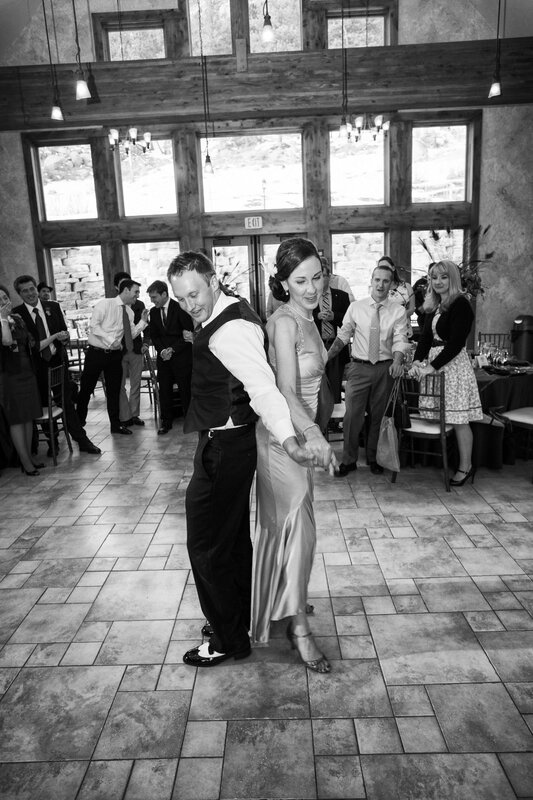 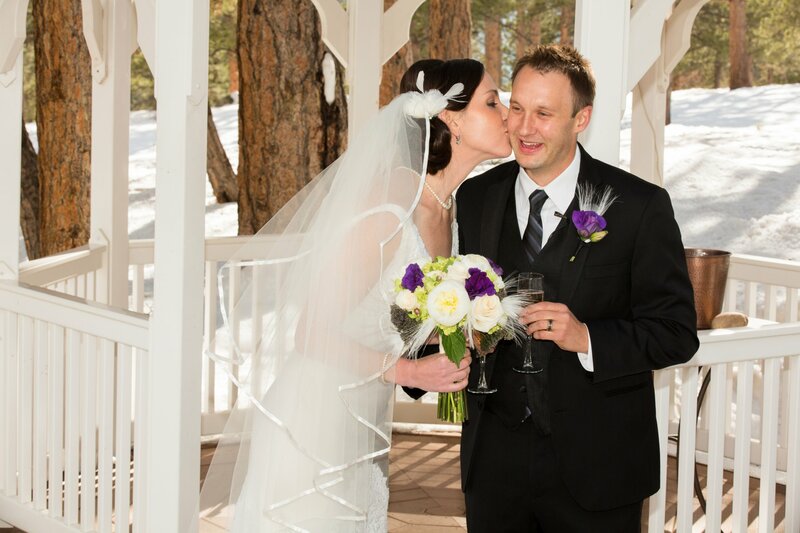 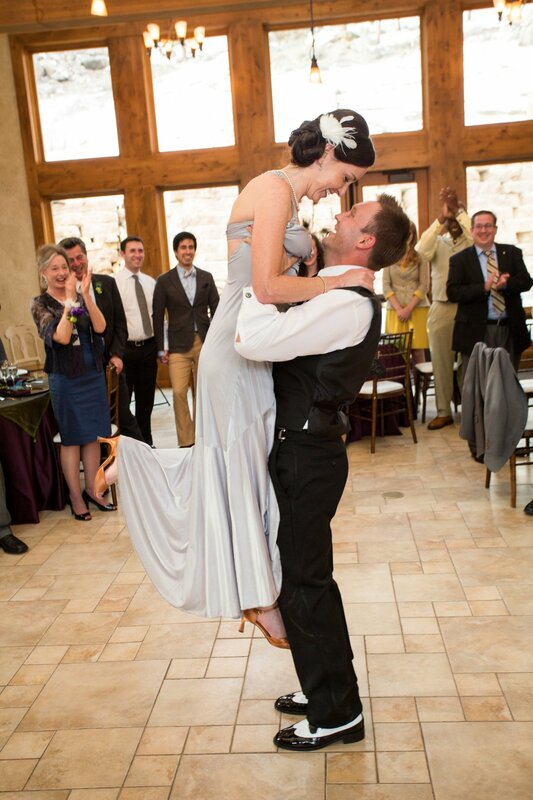 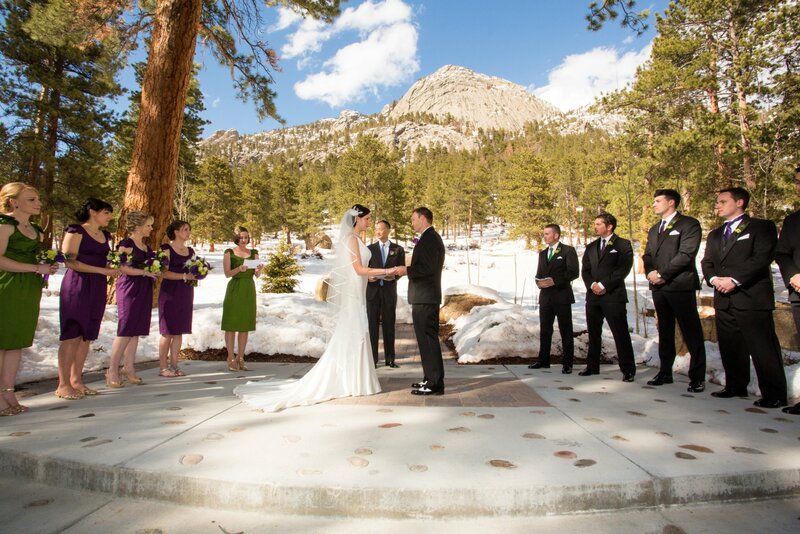 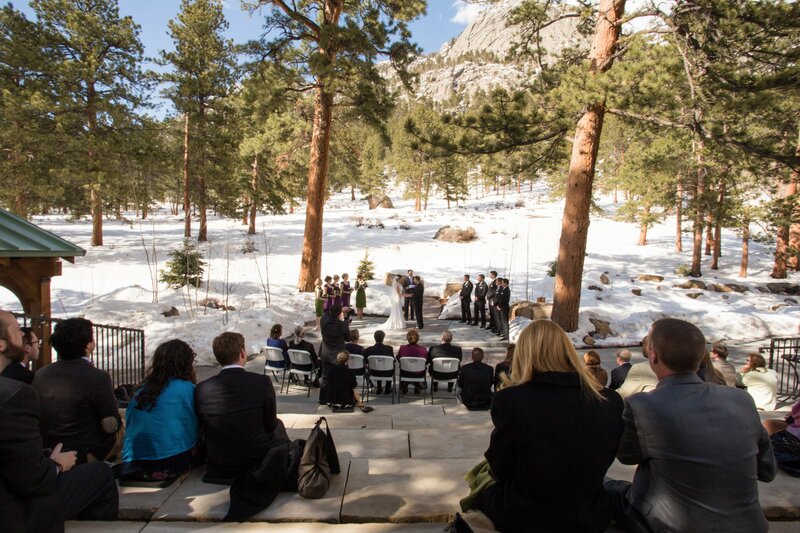 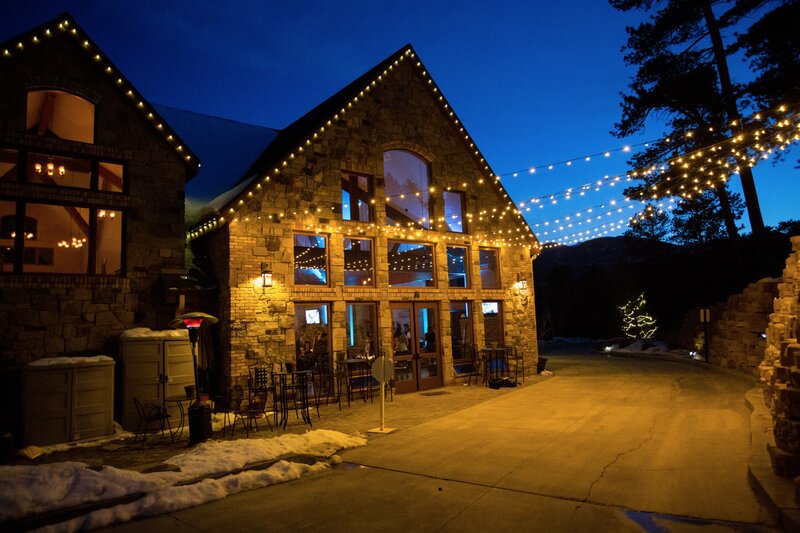 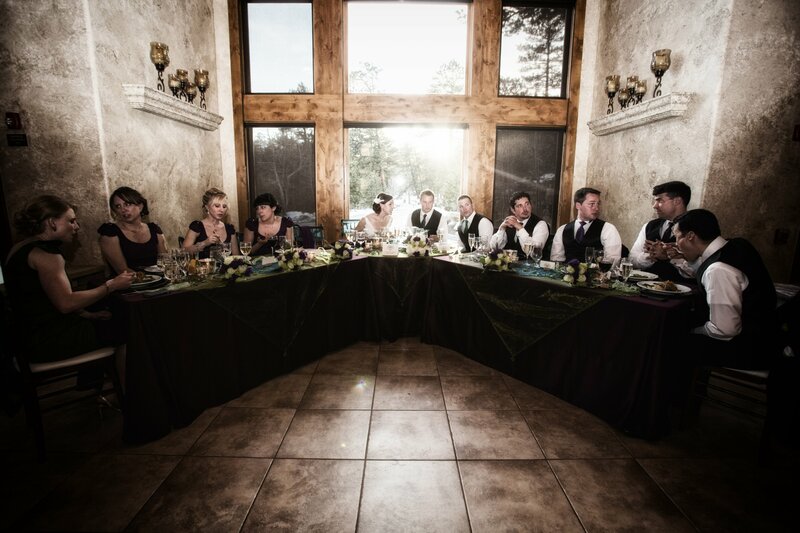 It was a beautiful April wedding at Della Terra Mountain Chateau in Estes Park, Colorado. 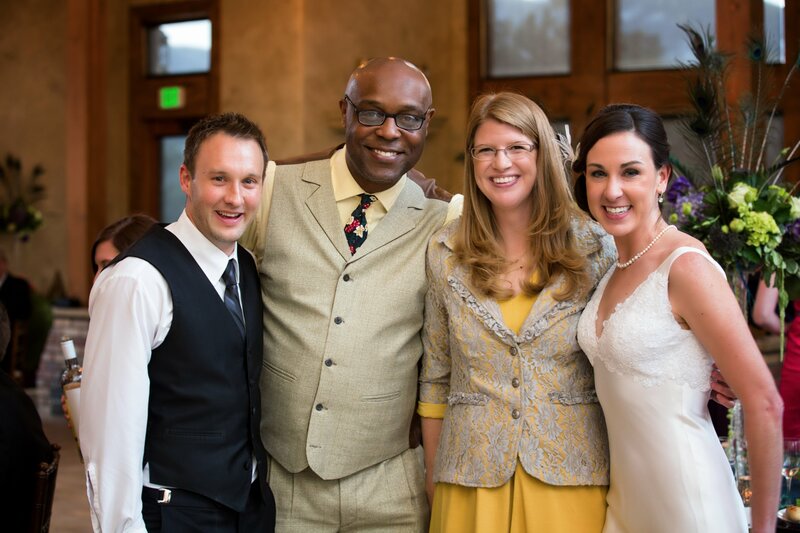 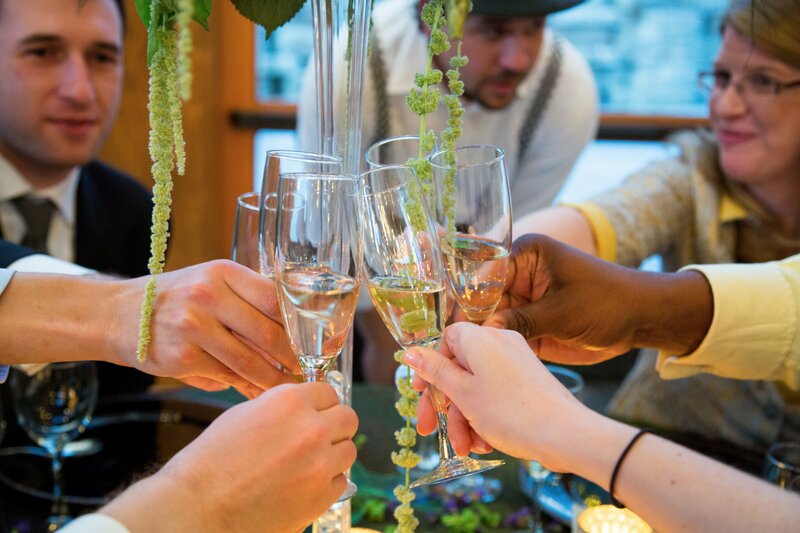 This was a destination wedding with the bride and groom visiting from California. 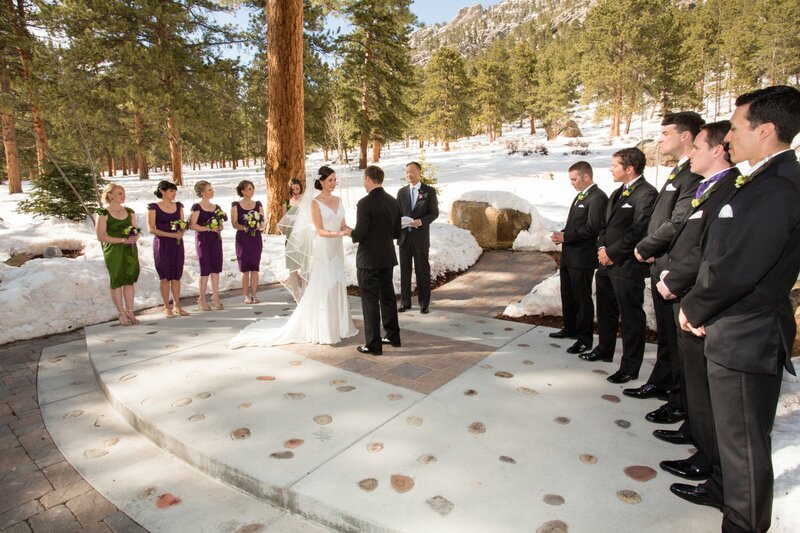 Needless to say blankets were needed for this outdoor wedding! 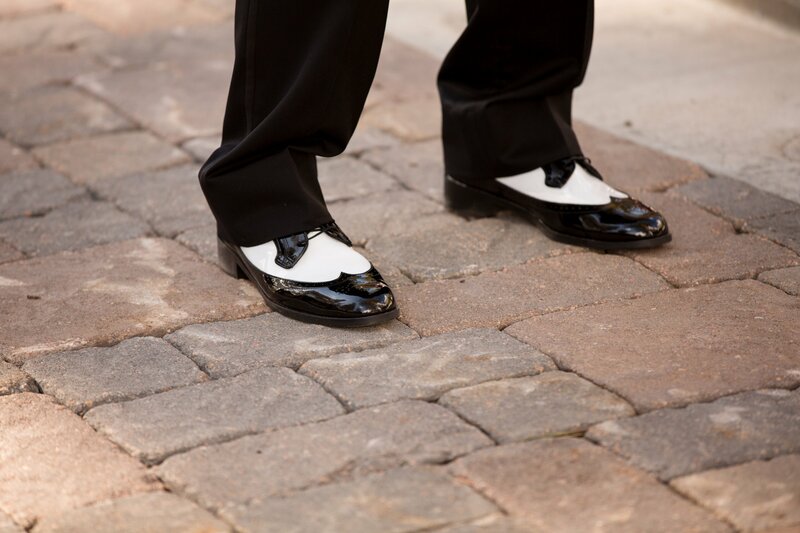 This was a 50's big band themed wedding, complete with peacock feathers and zoot suit shoes. 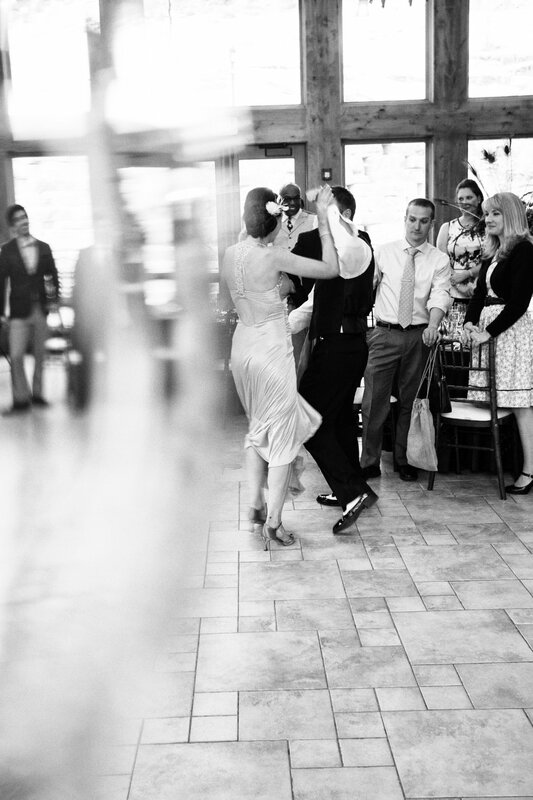 Big band music kept the party going all night! 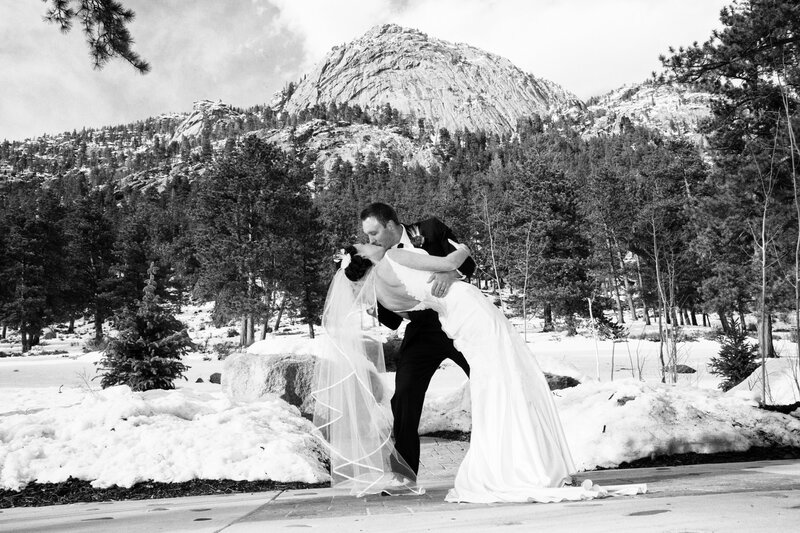 Snow on the mountain peaks highlighted the wedding photos, as Roe Photography captured the beauty of this mountain wedding. 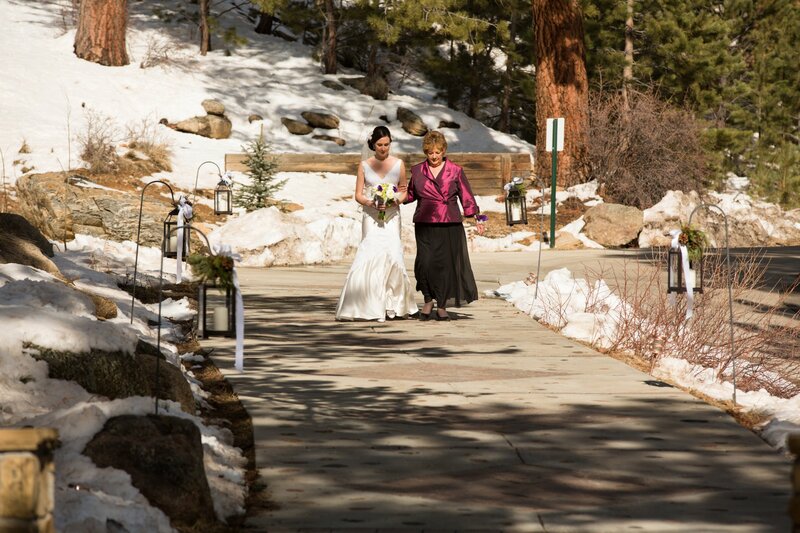 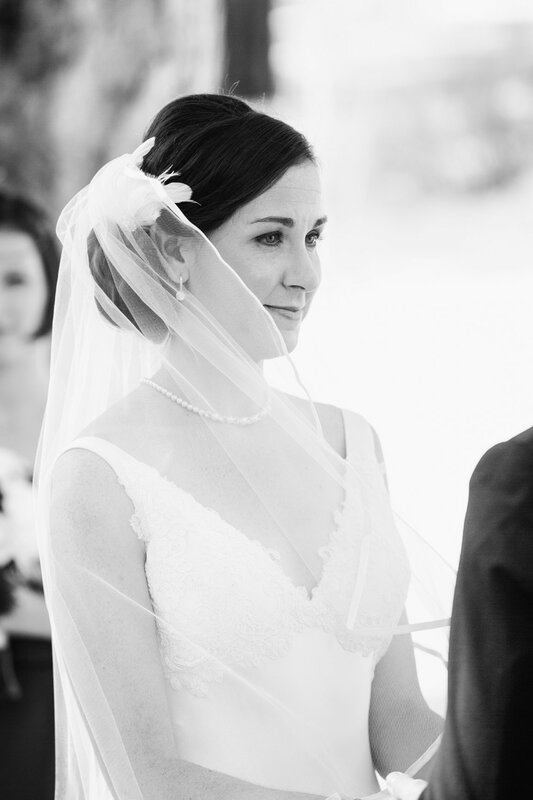 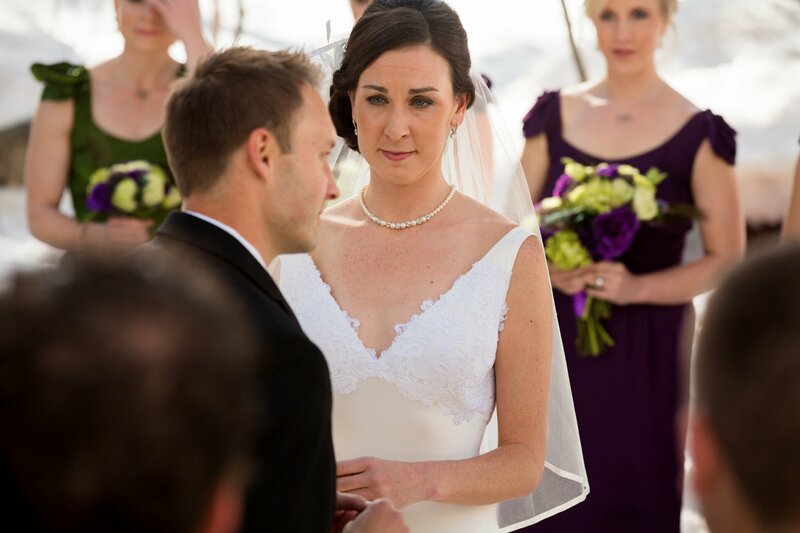 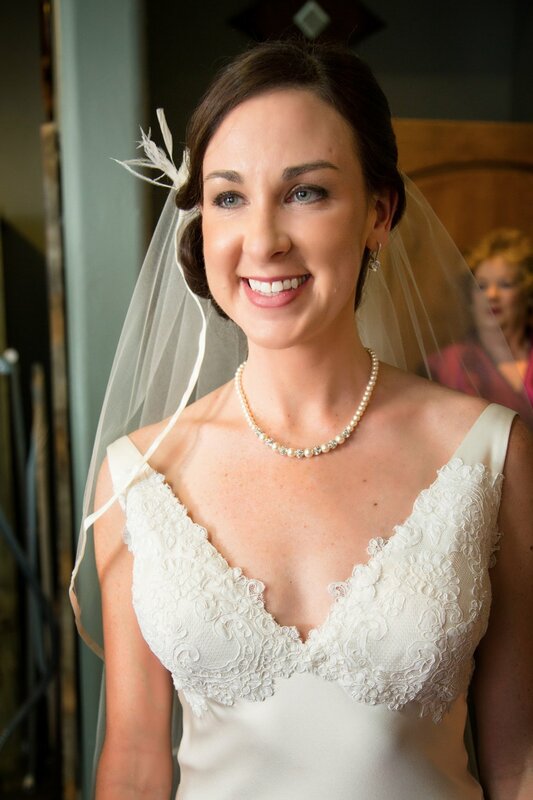 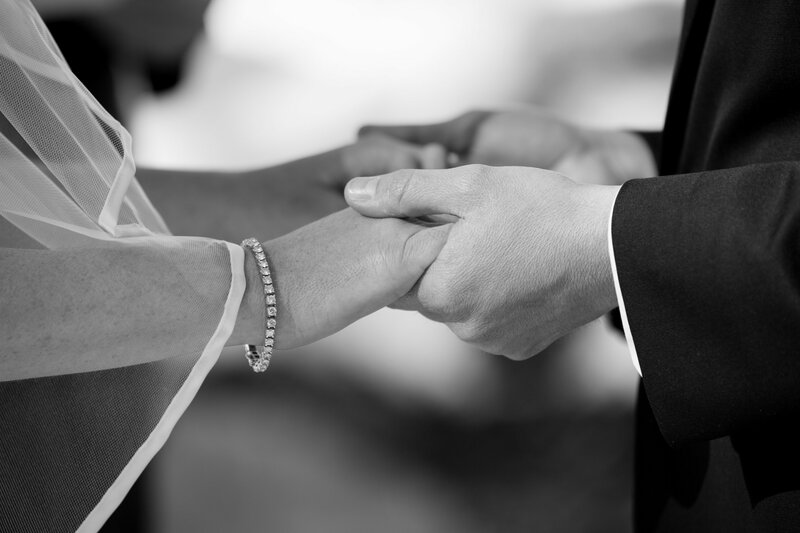 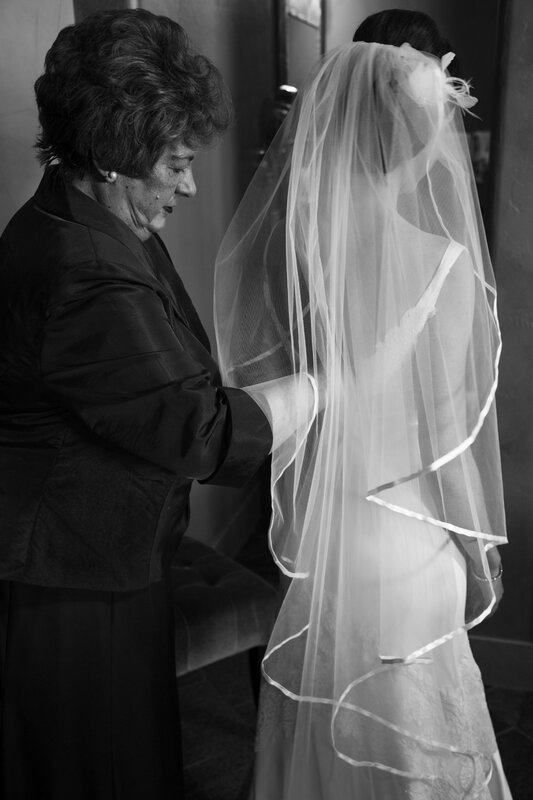 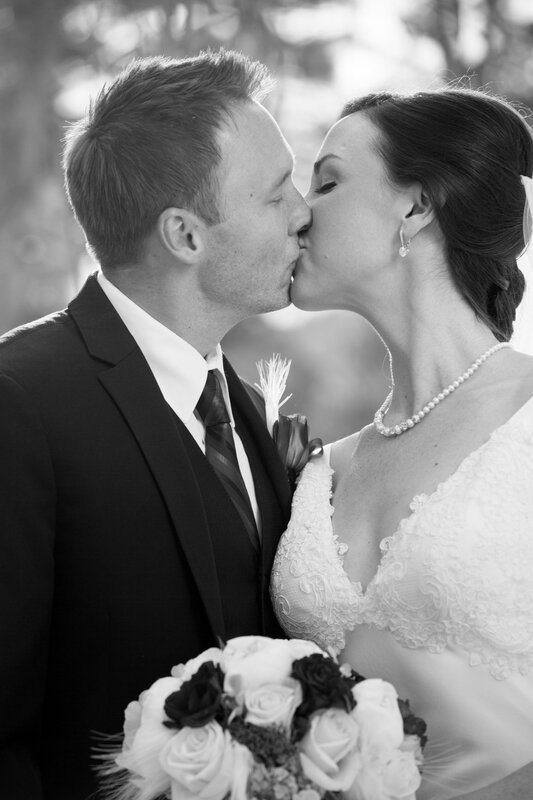 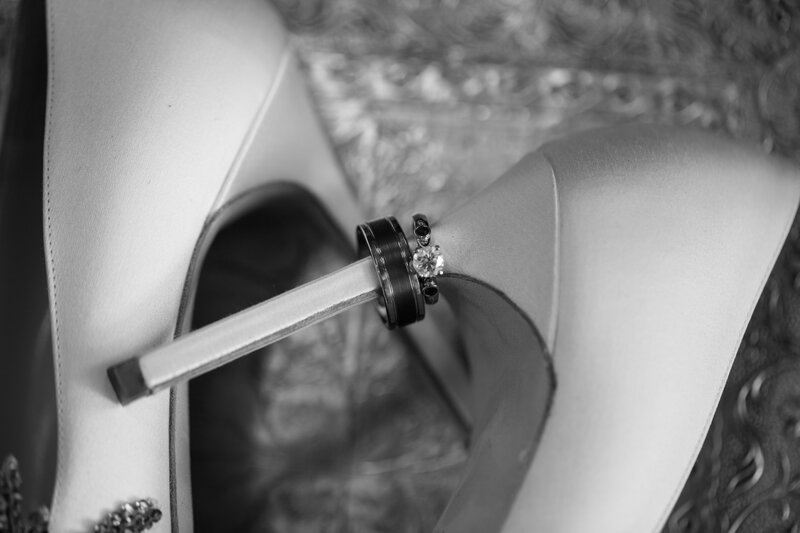 Be sure to contact Roe Photography for affordable wedding photography in Estes Park and all of Colorado!